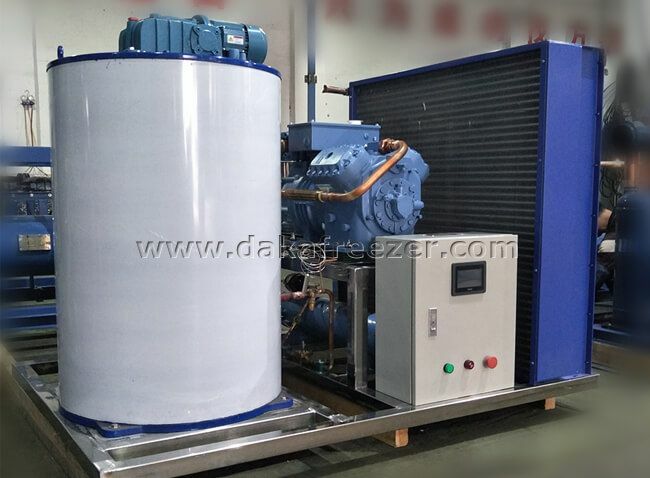 Large-scale industrial flake ice machines are specialized in nuclear power construction, environmental protection engineering and railway construction etc. 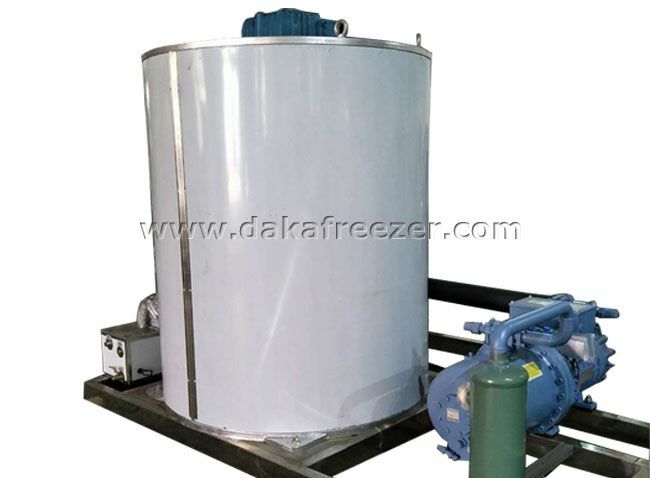 The large industrial flake ice machines are equipped with Refcomp screw compressor to ensure sufficient ice production and improve energy efficiency. 1. 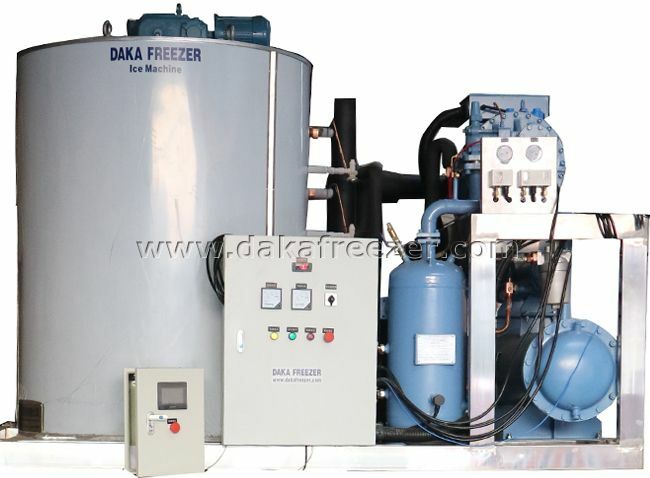 The ice machine has high ice efficiency and small loss of cooling capacity. 2. 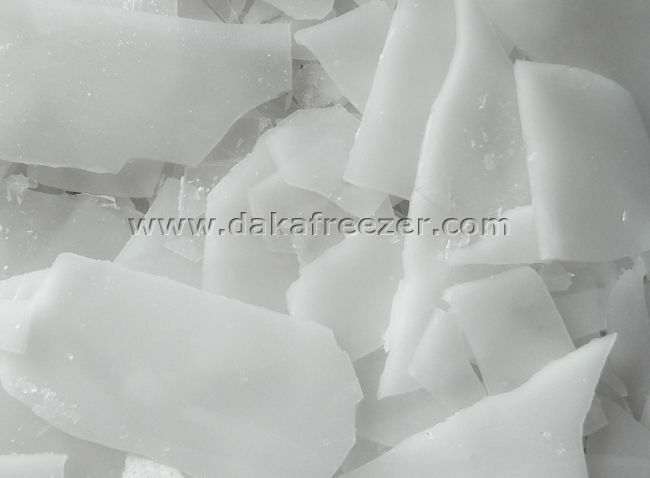 Good quality of the flake ice and is dry and not bonded. 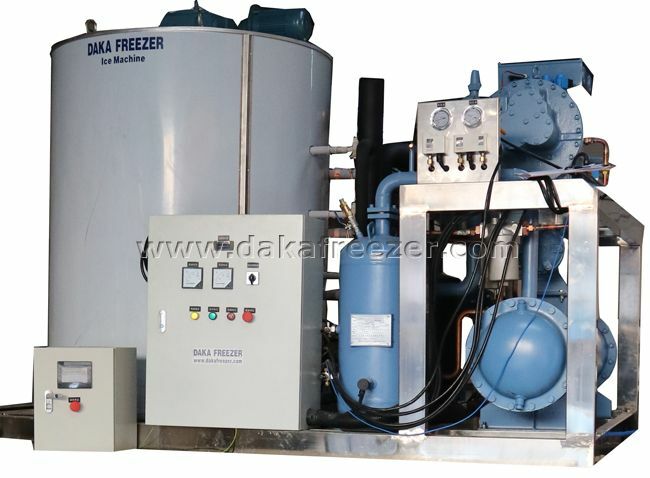 6.The flake ice machine with the perfect fault protection device. 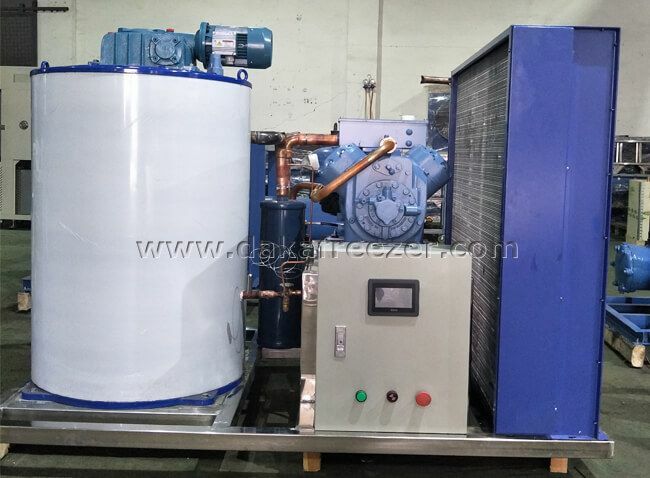 1.Standard conditions: Ambient temperature 25℃, water inlet temperature 15℃, evaporating temperature -22℃, condensing temperature 40℃. 2. Thickness of the flake ice: 1.5mm-2.2mm,it can be adjustable. 3. The above parameters will be changed subject to the technical invotation without further notice.